Rock and Roll band New Politcs announced that they are going on tour in 2014 all across the nation. 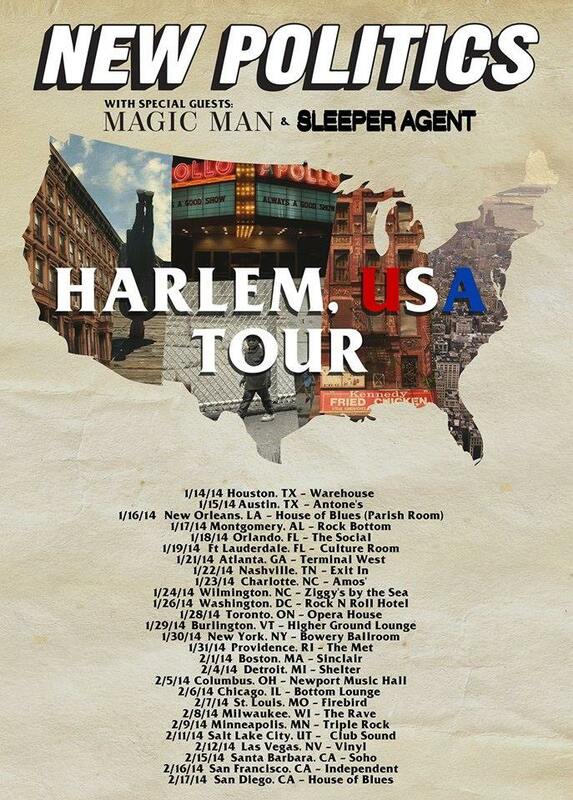 The “Harlem” band is going from coast to coast playing their music on the “Harlem USA” tour. Check out the poster below for when they are coming to your city! This band is taking off like a wild-fire. You are going to want to watch them live in this tour. Check out their hit single “Harlem” below, and shake it like a bad girl.